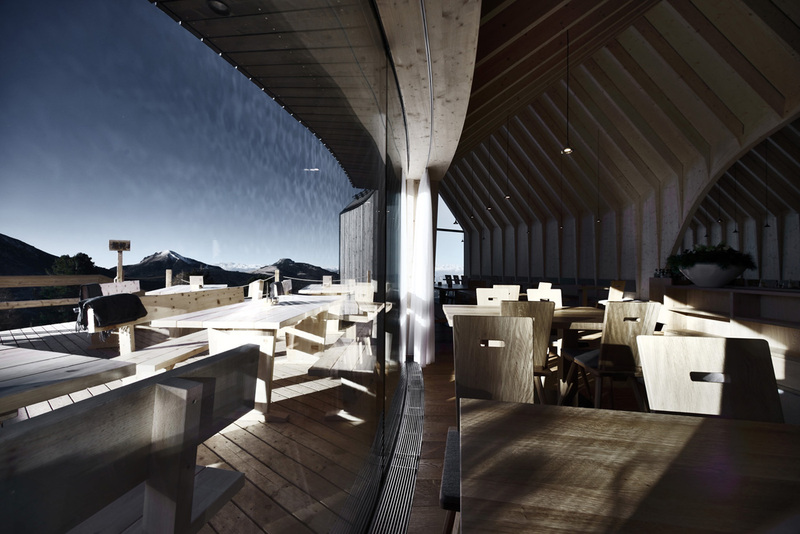 The “Oberholz Mountain Hut” is a restaurant and lounge facility which protrudes out from the Italian Dolomites at 2,000 m above sea level. 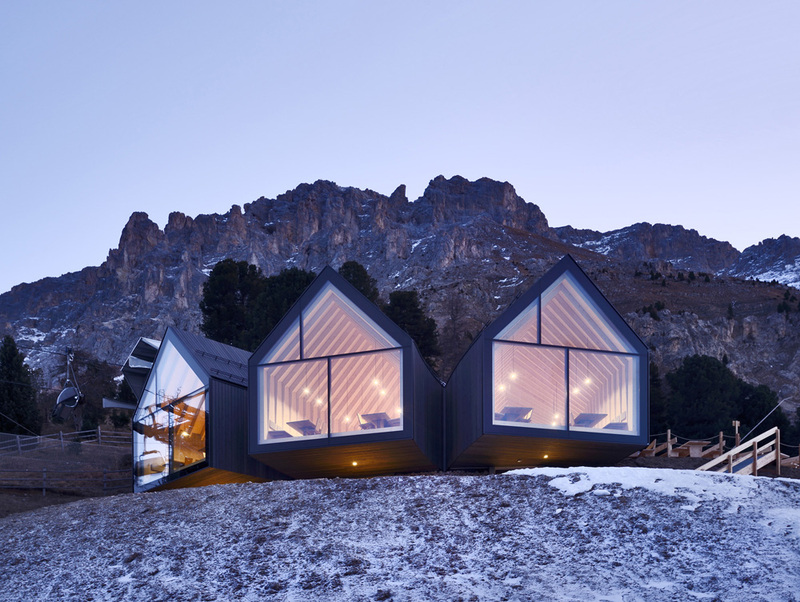 The scheme, which won a competition back in 2015, is designed by Milan-based firm Peter Pichler Architecture and Pavol Mikolajcak. 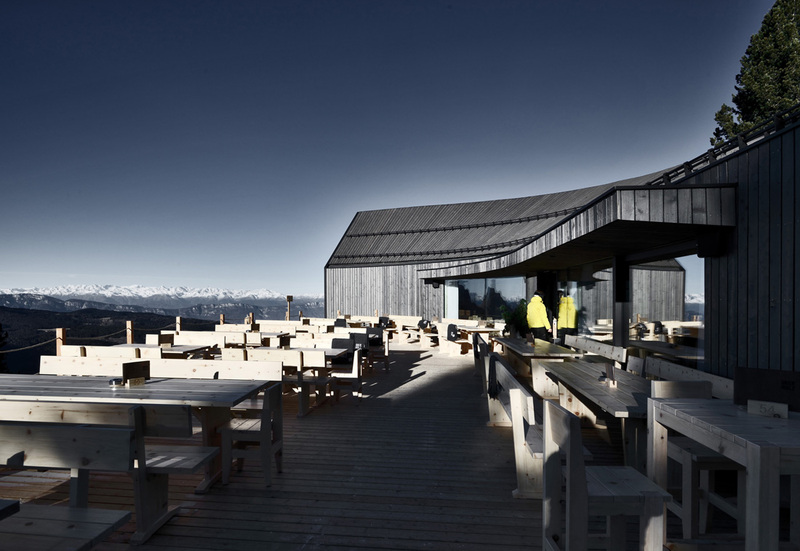 Now completed, the new mountain hut provides a restaurant destination located next to the Oberholzcable station with direct connection to the snow-covered ski slopes. 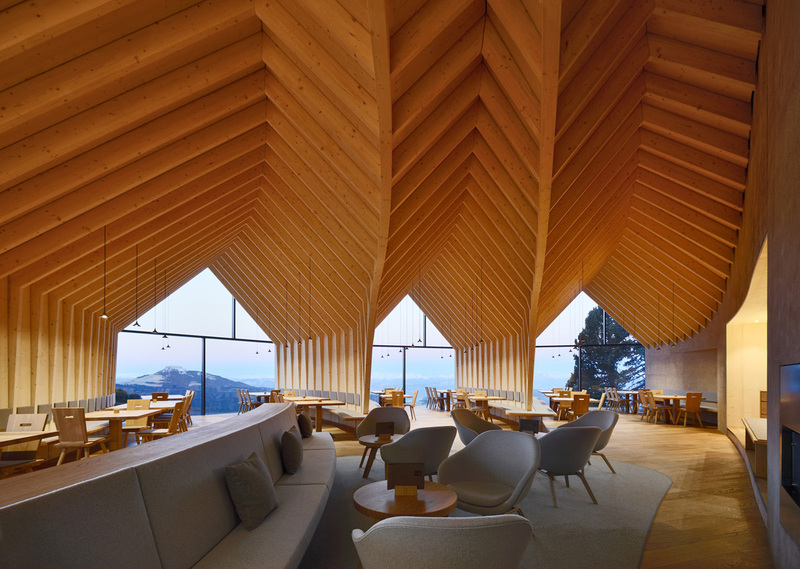 Peter Pichler Architecture and Pavol Mikolajcak created a main cantilevering structure that seemingly “grows” out of the steep terrain to reference a fallen tree. 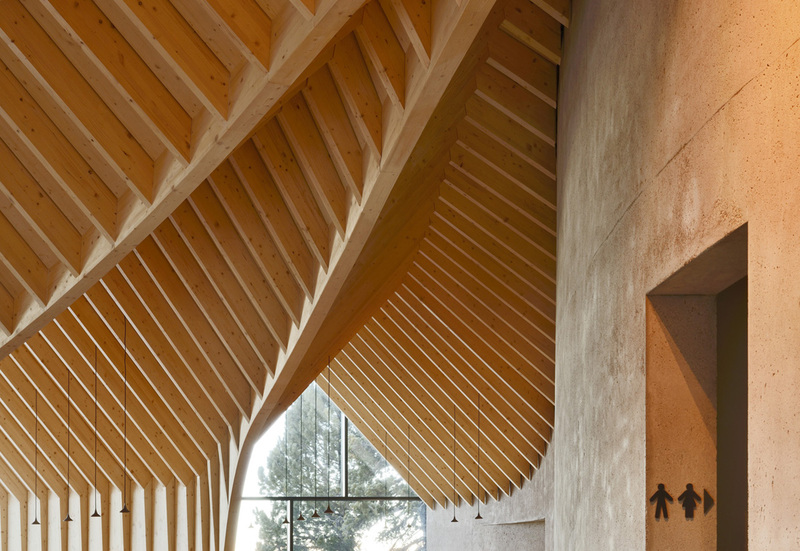 This metaphor is explored with the structure being divided into three main “branches”. 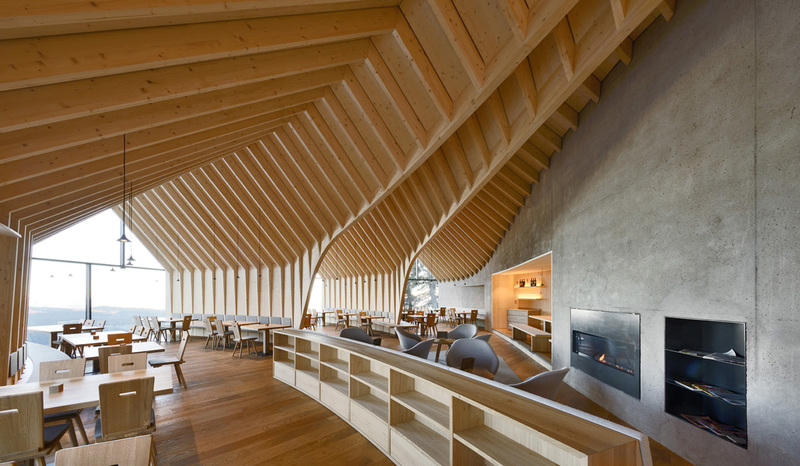 Inside, these branches double as house-shaped tunnels that have been divided into three dining areas; each perfectly framing a picturesque view of the mountain landscape. 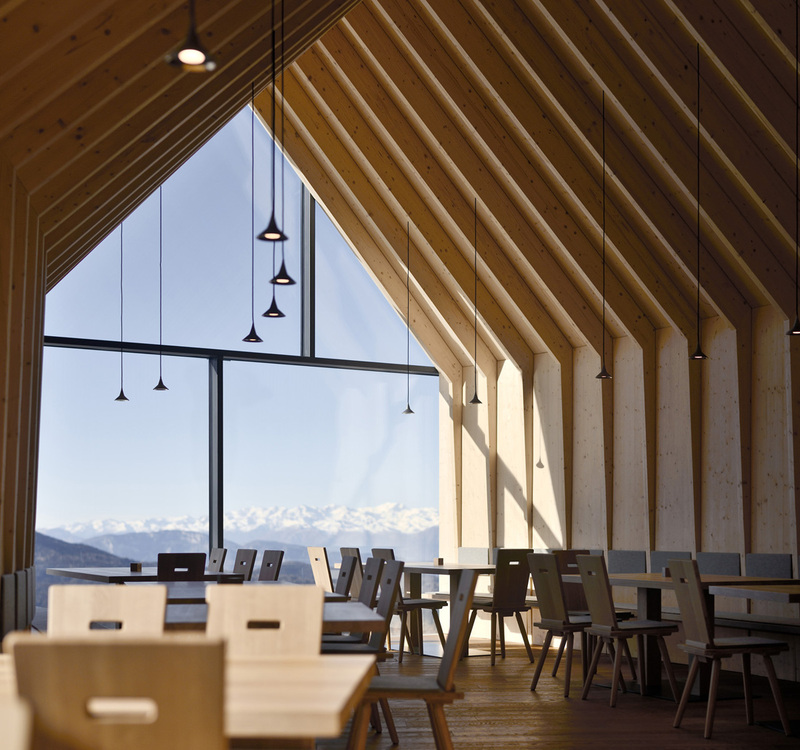 The hut’s interiors follow the material expression of the exterior which has been constructed all in wood: structural elements and interior in spruce, the façade in larch, furniture in oak – all typical timbers from the area. 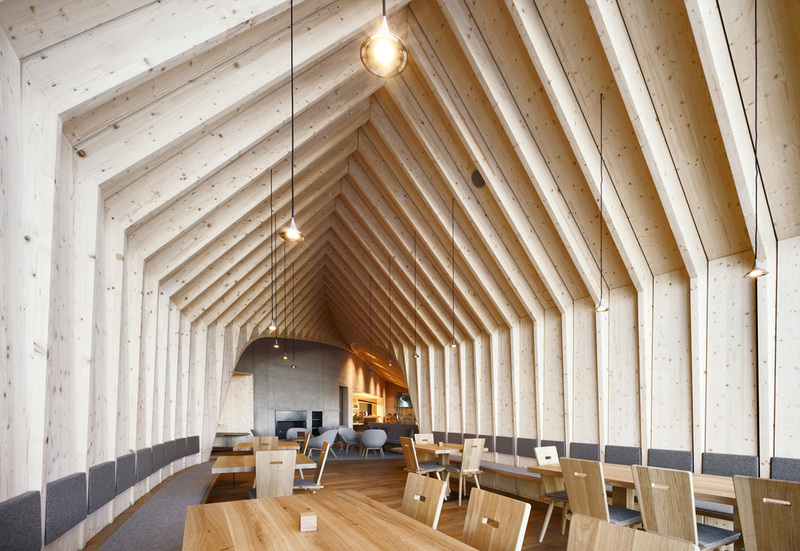 The exposed truss system of the ceiling creates a dynamic visual expression and directs attention to the sloping roof structure which gradually dissolves into the walls. 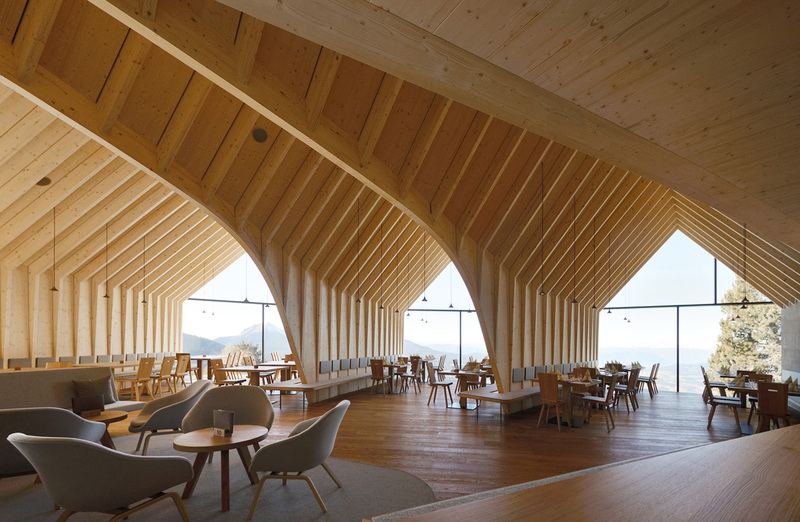 In turn, this has created “pockets” for more intimate spaces in the main restaurant and lounge area. 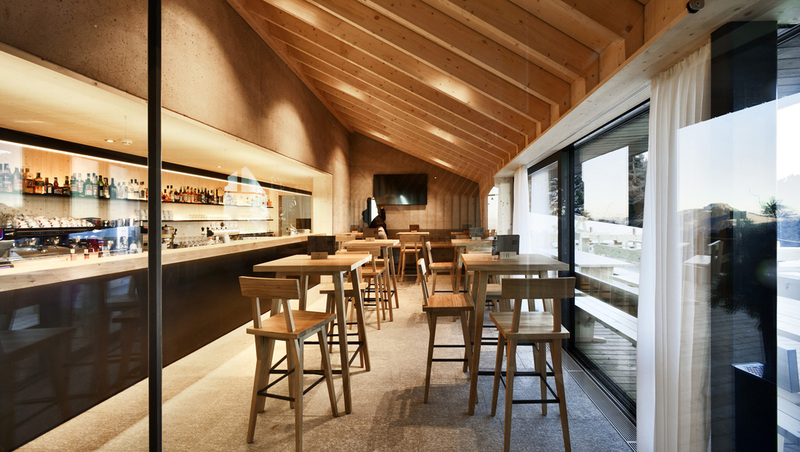 Located by the entrance is a bar which opens out to a sprawling outdoor terrace and the journey continues into the restaurant. 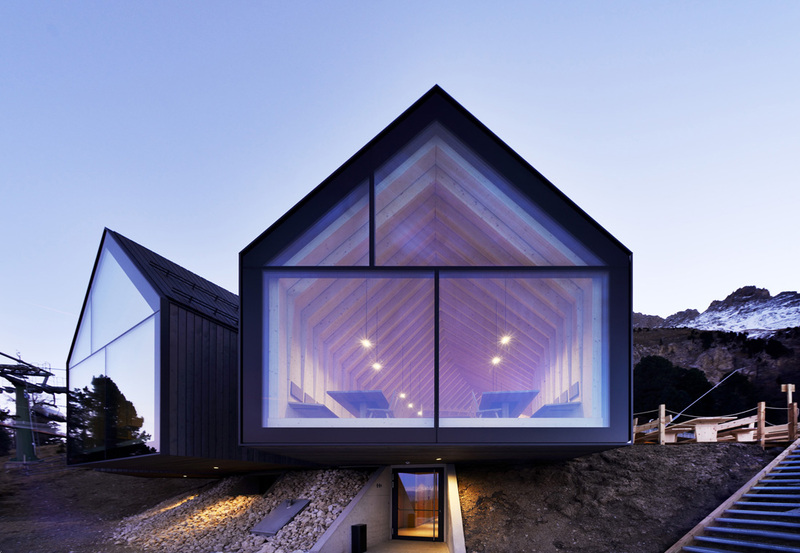 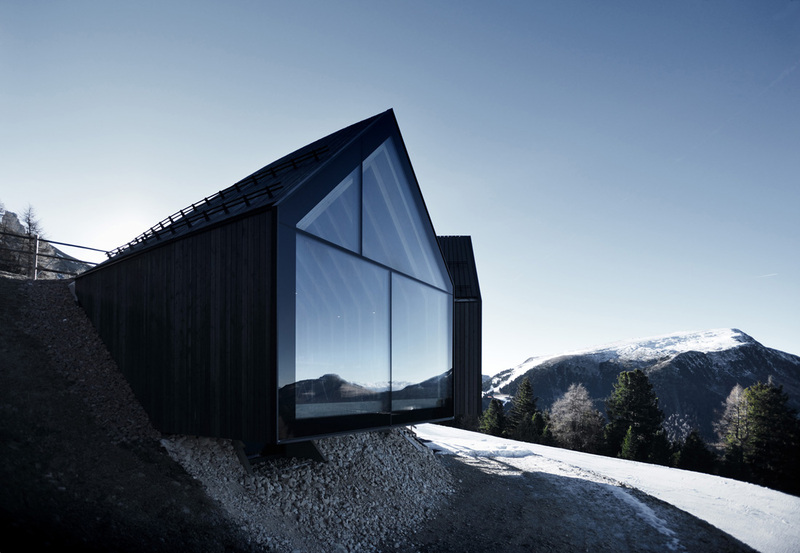 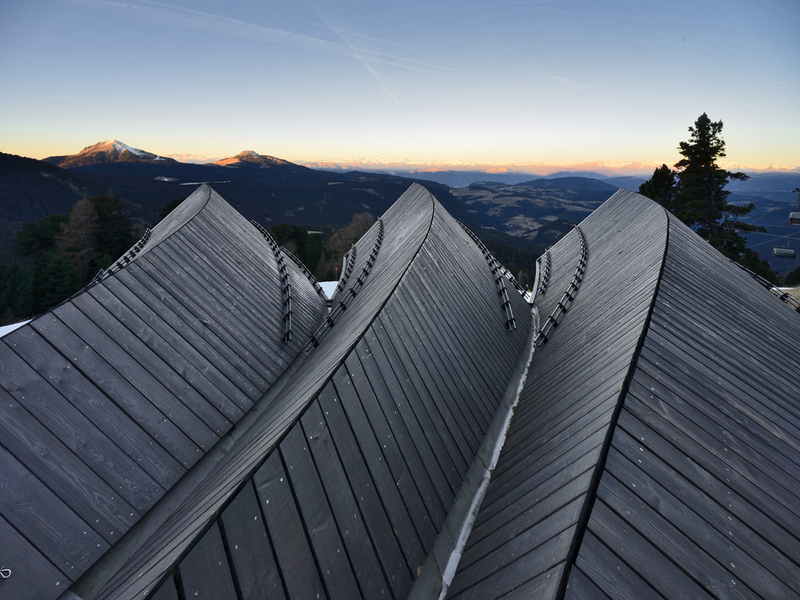 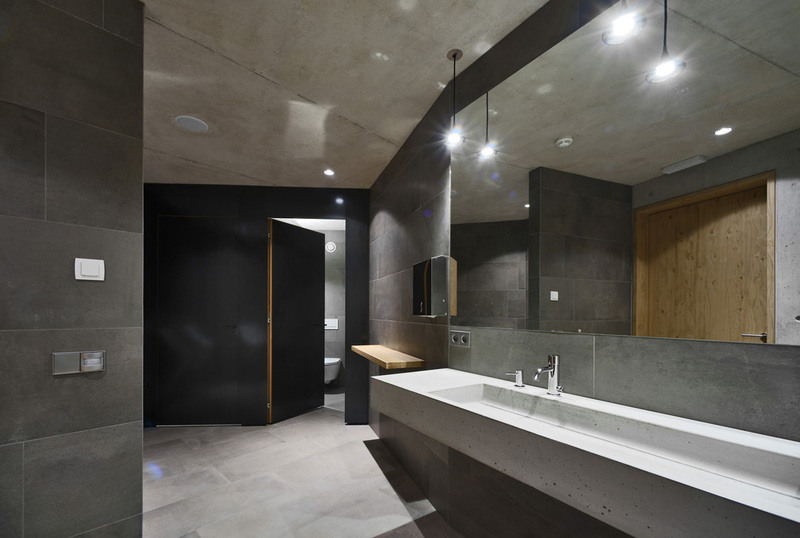 The project embraces the local architecture recognized in the area and this inherently expresses a contemporary interpretation of the classic mountain hut.